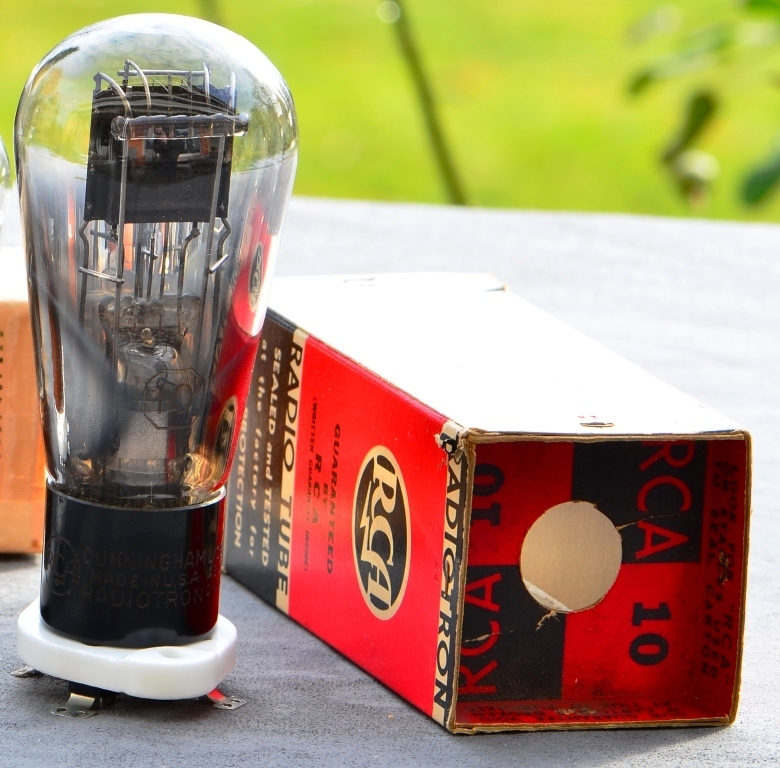 The 10Y is a small transmitting tube, it is a 'special' version of the 10 which was introduced in the 1920s as type UX210. It is very similar to the famous 801A which has a higher maximum plate voltage and dissipation. The 801A will be covered separately in a future article. Todays post will cover all the variants of the 10. The 10, 10Y and UX210 were manufactured by many companies and were also used by the military which used the designation VT25. The 10Y has a 4 pin UX4 base like most directly heated triodes. It has a plate dissipation of 10 Watts which is good for about 1.5W as output tube in a single ended amplifier. 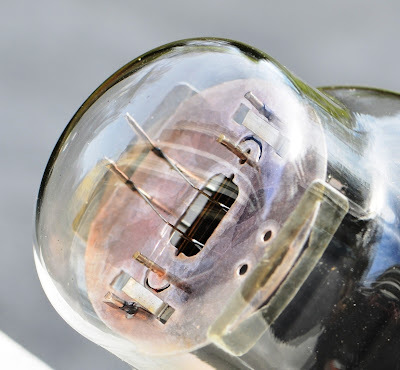 Filament voltage is 7.5V which makes a DC filament supply adviceable although it can be heated with AC as well. Filament current is a moderate 1.25A. Complete data can be found here. The 10Y is quite popular for usage in SE amps although it is rather demanding in terms of primary impedance of the output transformer. The datasheet suggests a load of 10k. 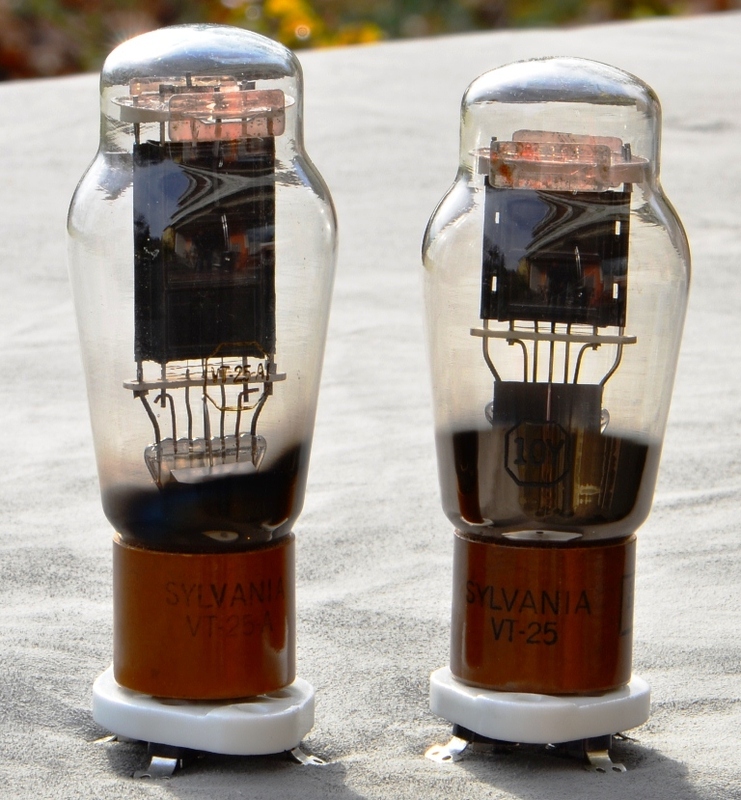 I prefer a higher impedance of 14k or better 16k as can be obtained for example with Lundahls LL2735B. 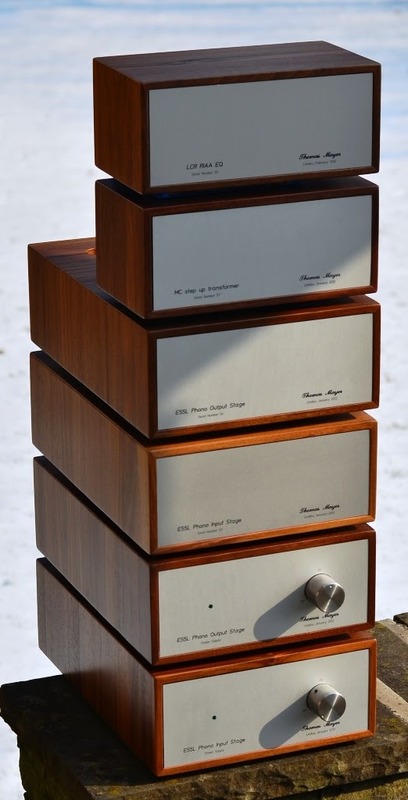 I prefer the 801A in power amps since it can provide more than double the output power. The 10Y makes an excellent driver tube for the 300B which will bring 300B amps to a complete new level in performance compared to more conventional driver tubes. I have also succesfully used the 10Y as a driver for the 45. 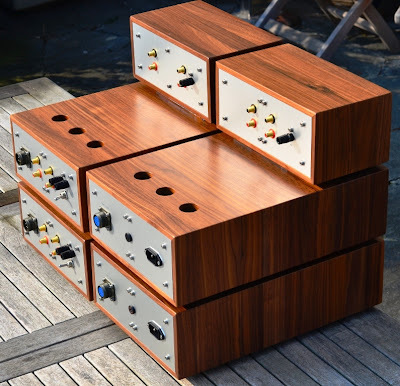 Photos of such an amp can be found here. But my favorite usage of the 10Y is in directly heated linestages. 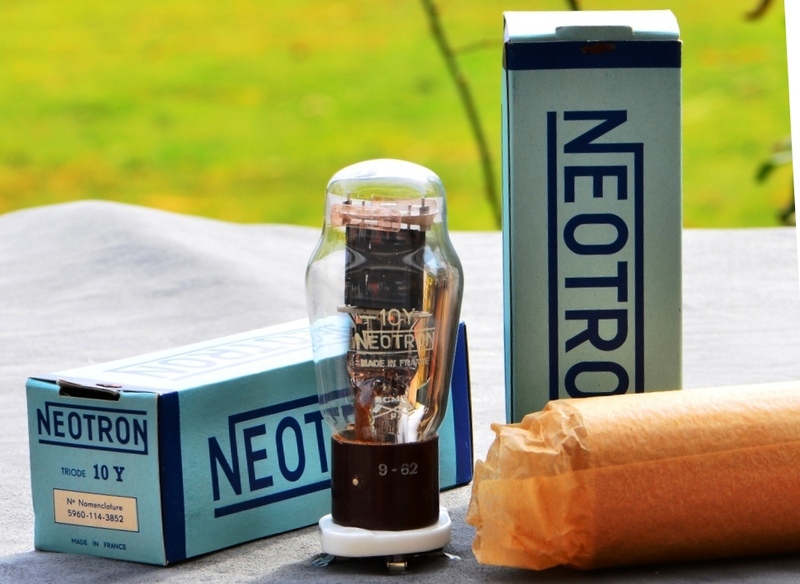 In a linestage this tube will provide unparalleled performance if used carefully. This requires a high quality filament supply since the 10Y will make everything audible which is across it's filament in a linestage. Voltage regulation will result in a very screechy sound. At least current regulation should be used. But I prefer a pure passively filtered filament supply using two chokes in LCL configuration on the filament of each tube. In conjunction with a suitable line output transformer it will be extremely musical combined with neutrality and very high resolution. These are sound attributes which are difficult to combine into one amp or preamp. One reason for it's good sound is the extreme linearity of the tube. 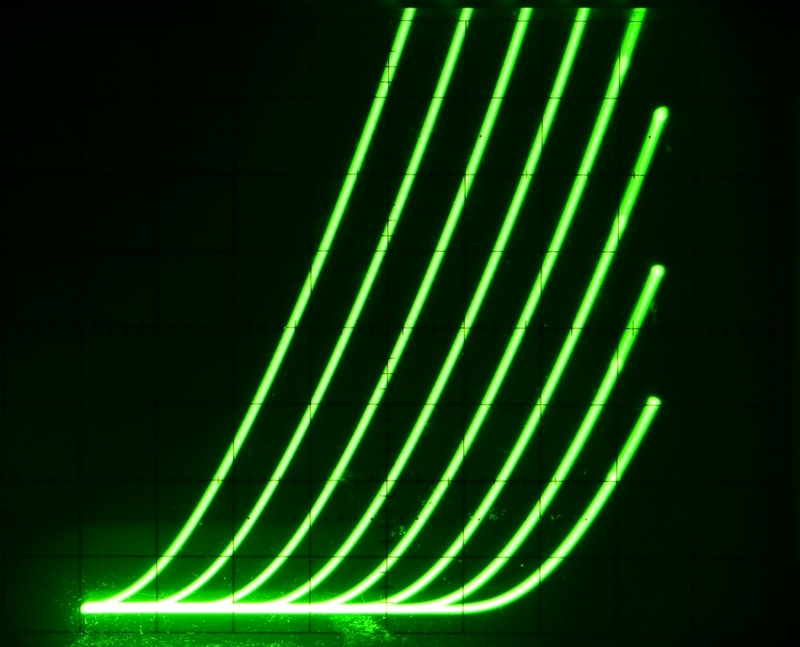 The photo above shows a set of plate curves taken from an actual tube with a curve tracer. 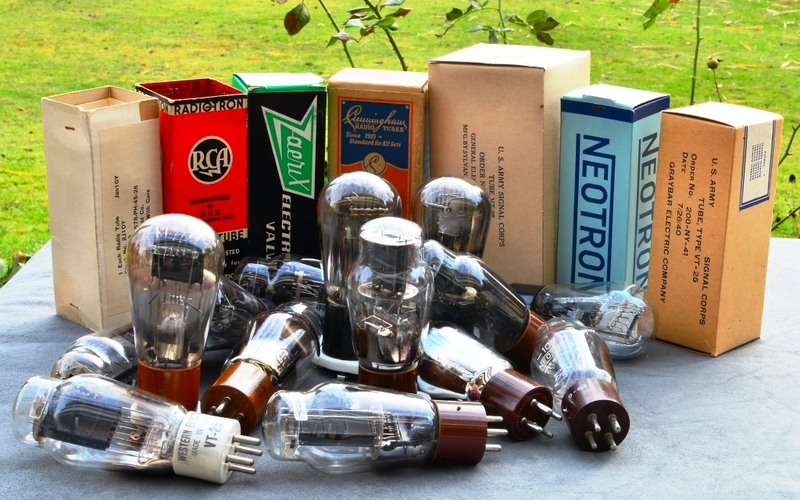 Since the tube has been built by many different manufacturers, it is available in lots of variations. Even the same manufacturers changed construction deatils over the years. 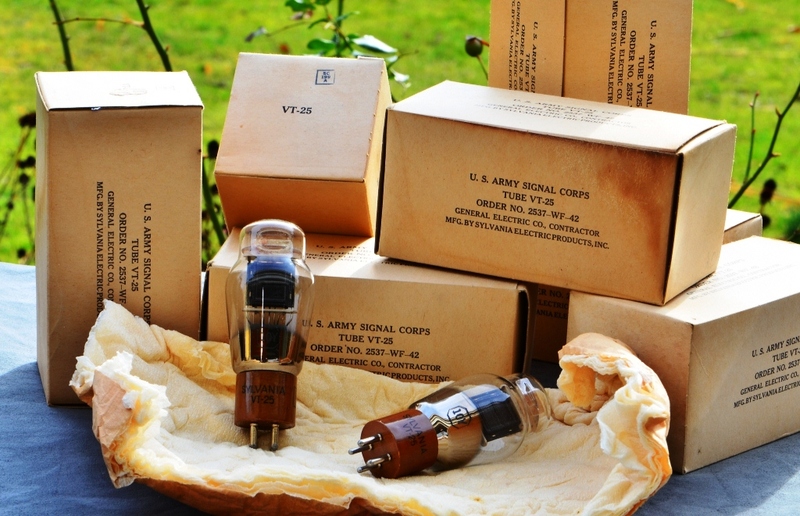 The photo above shows a collection of VT25 tubes, manufactured by Sylvania for the army. As the carton indicates they were delivered by General Electric which apparently got these tubes built by Sylvania. As with many tube types crossbranding was common practice. The close up shows that the A-version has a plate which is about 50% larger! Quite a significant difference. This would indicate a higher maximum plate dissipation. This was probably done to ruggedize the tube. The 10Y was also manufactured in Europe. 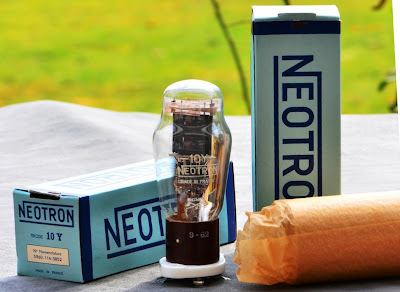 The next photo shows the Neotron 10Y, made in France. I'm about to build a new linestage with the 10Y using the line output transformer with the secondary as tapped volume selector from Tribute. This linestage will use the same chassis style as the modular preamp series presented in recent post. The making of that preamp will be shown in an upcoming article. A pair of silver wound LL1660 interstage / line output transformers, named LL1660Ag. These are from the first batch of the silver version of this transformer. I got mine gapped for 18mA to try them in a linestage with 10Y or 801A triodes. The LL1660 is my favorite transformer for linestages. In the configuration 4.5:1 it is a stunning perfomer. I'm curious which impact the silver windings have on these. 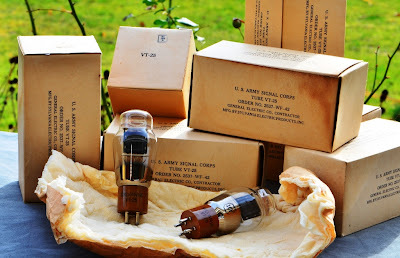 If you read my report on the silver LL1933Ag step up transformer, you know that I liked them a lot. In fact that listening report seems a bit conservative. In the meantime I had more listening experience with the silver MC step ups and they are simply great. Also everybody who heard them liked them a lot. I try to keep my listening reports more on the conservative side. 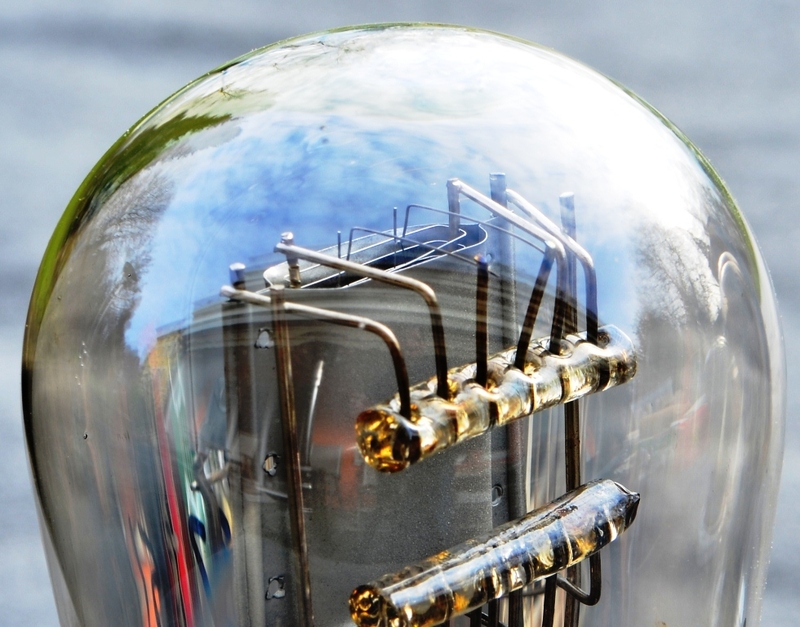 How a component performs has a lot to do with system synergy and personal preferences. I also want to avoid to exaggerate when writing the first time about something new. New things are always exciting and this can influence the judgement. Living with a component for a longer time gives a deeper insight. Often the first excitement falls off after some time. Not so with the silver transformers. In fact the more I listend to them the more liked them. So I have high hopes for these LL1660Ag. I will report about my impression once I have set up a listeing test. Visually these look beautiful. The silver windings are nicely visible which of course is not the case with the encapsulated MC step ups. Lot's of silver in these. I have no final price yet but expect these to be very expensive. One critisism however: Such an exclusive transformer deserves better connection terminals. 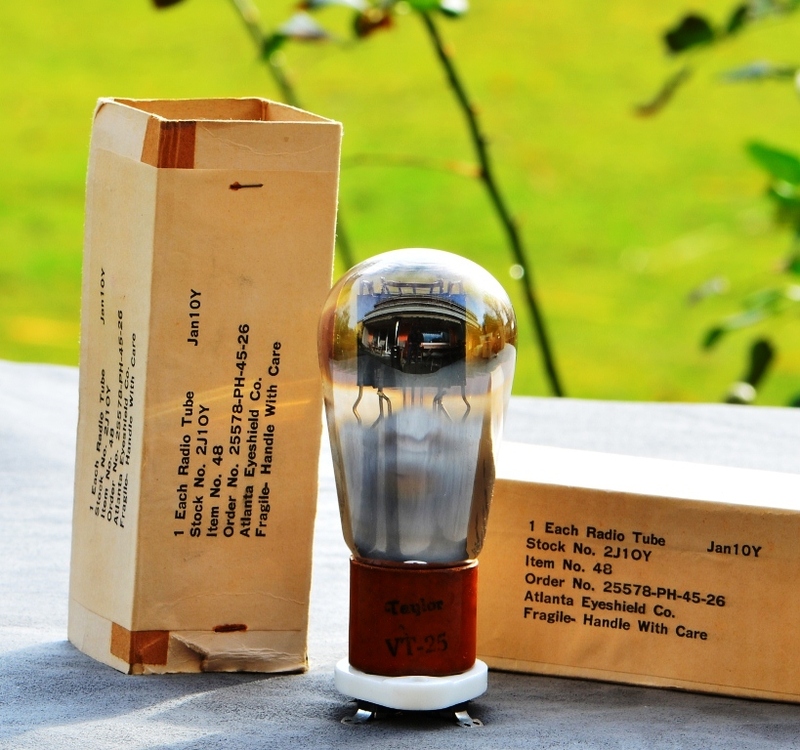 This first batch was done with the same terminal plate as the standard LL1660. I hope Per Lundahl follows my recommendation and changes this to some better material and some sturdy soldering terminals. The photo above shows them in comparison to the copper LL1660. Stay tuned for updates about these silver transformers! Tribute is well known among tube amplifier builders for their high quality transformers. So it is about time that this company get's it's spot in the cool links section. The company which is based in the Netherlands, is run by Pieter Treurniet. 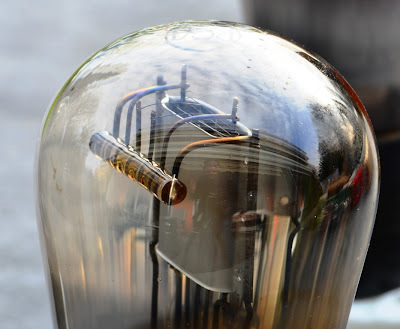 I met Pieter several times at the European Triode Festival to which he contributed with very interesting lectures and also with transformers for shootouts. 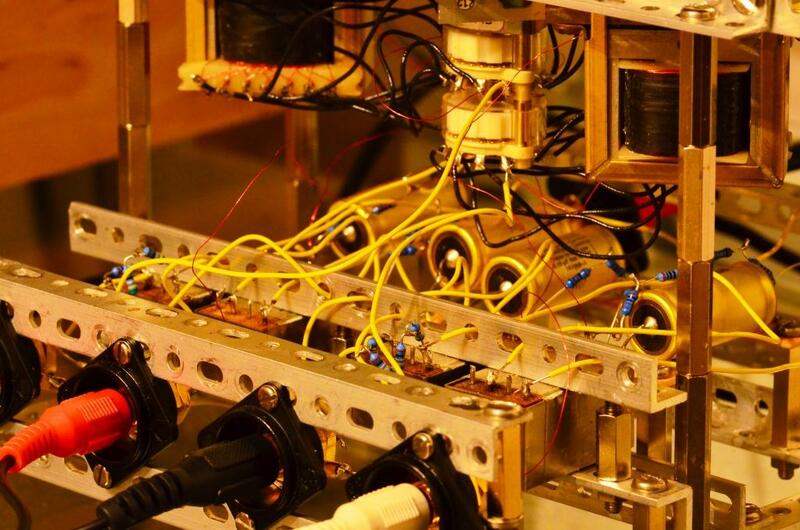 Pieter is very passionate about transformer development and among the few people on the planet with profound theoretical knowledge and practical experience about transformer winding. He has no standard range of transformers. Each transformer is wound on order which means each one can be customized. This offers a flexibility which is missing from other transformer suppliers or can only be had at a large cost adder or if you order a certain quantity. Not so at tribute! You specify what you want and you will get it. 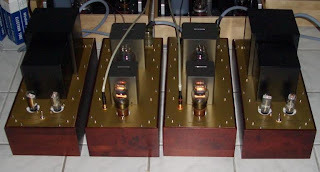 My preamps all use inductive volume controls driven by step down line output transformers. I always wanted an integrated solution, a step down transformer which can handle DC for single ended operation, with the secondary implemented as a 24 tap volume control. Since this is not available from other suppliers, at least not in the form which I would like to have it, I approached Pieter and asked if he could do such a transformer. Pieter agreed to calculate such a beast and wind them. 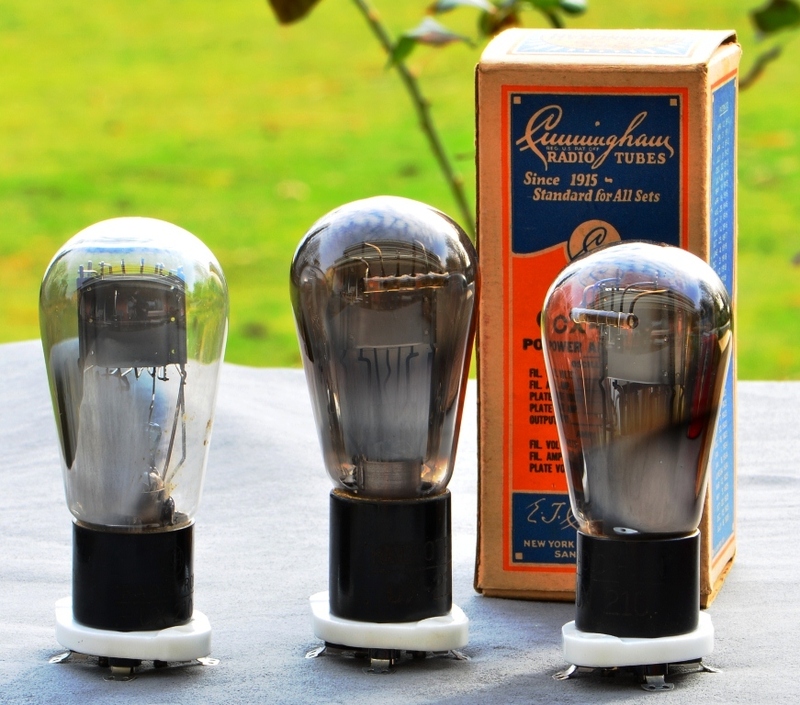 A pair of beautifully built single ended line output transformers with volume control secondaries. Primary and core air gap are sized to fit a 10Y or 801A tube. Pieter did first measurements and recommends to experiment with loading resistors between each tap. He found that the transformer operates without any ringing and excellent frequency response like this. Very promising! 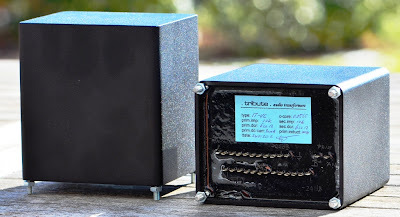 Chassis material for the 10Y preamp with these transformers is already being made. 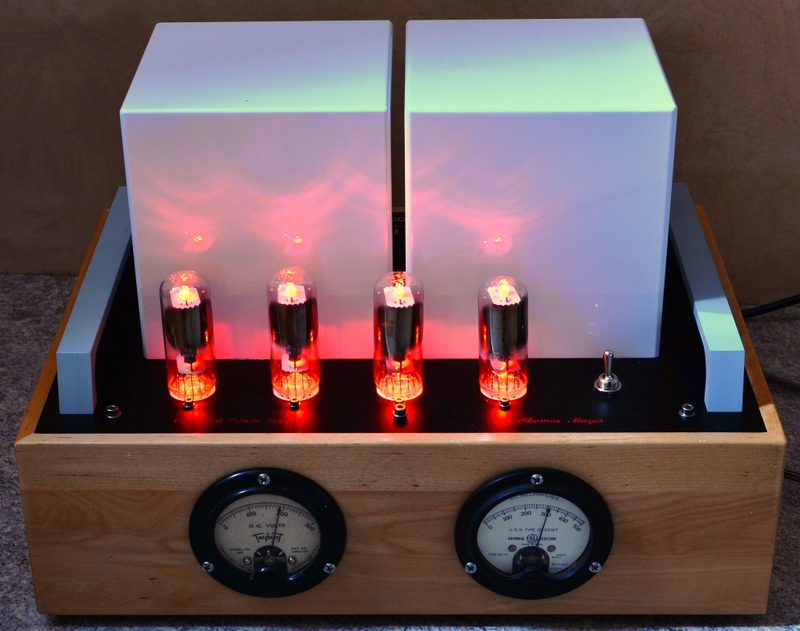 I will present the making of that preamp in an upcoming article. I do not consider myself an audiophile; rather my wife and I are avid music lovers who listen to music and radio throughout the day and evenings. I started with a B&W and Rotel combo based on What HiFi review. I then moved to Odyssey Kismet gear with a SlimDevices Transporter at the front. This was a big step up in sound quality, but not completely to my satisfaction. 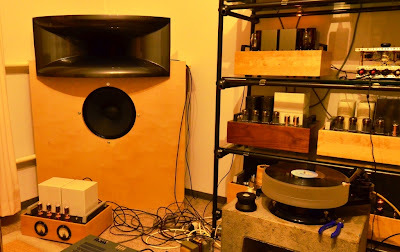 Sometime in 2010 I was able to hear Shindo and Audio Note gear and was impressed. In May of 2010 I decided to build AN Dac 3 Kit and L3 preamp. I was able to understand my own sonic preferences and build something to reflect them. I have realized that I am in the emotion and flesh and blood camp. I then came across the Lampizator website and decided to try some of his mods. Behringer 2496 mod was a revelation and made me sell my AN DAC. 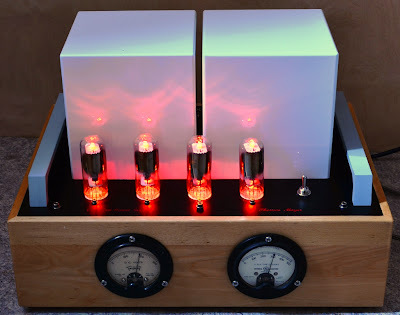 Squeezebox upgrades (super clock, separate PSs and tube buffer) made me sell my Transporter and buy Lampizator DAC3.5 (prototype of current DAC 4). In order to pursue SET amps I needed more efficient speakers and I opted for Lampizator P17 design (first with Saba later with Altec 755Cs). I have also discovered Sound practices and started the search for a amp design/philosophy. This is how I came across Thomas and he happened to start VinylSavor blog just at a perfect time. Why? I love Thomas’s design approach as outlined in the Gain/Headroom, and Power, Operating point articles. That, followed by power supply architecture and description of design decisions, just appealed to me. The fact that the amp would produce 6W, sounded better than some of the 300b amps, and utilized less expensive tubes, made it a no brainer. annoying questions and helping by sharing his troubleshooting techniques that I now try to use all the time). What does it sound like? - Powerful, controlled sound with lots of PRAT, emotion and really good resolution. In essence flesh and blood representation of music with powerful bass and excellent mid range: resolution and detail recovery are really good (keep in mind that this is in relation to Thomas’ top of the line design - in comparison with commercial competition, it is far superior). This amp will play everything you throw at it: clasical (organ to violin), blues, Jazz and Rock to Metal. For many people on budget this will be the last amp that they will own. My family listens to this amp 14 hours a day. This amp was so good that I packed up my remaining commercial gear and sold it. 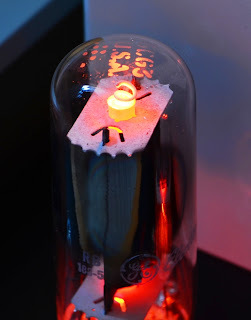 In my experience, the input tube has a large impact on the sound of the amp itself. 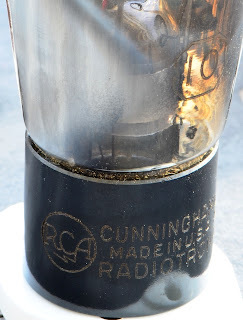 Metal can tubes are “thicker” sounding and less resolved. 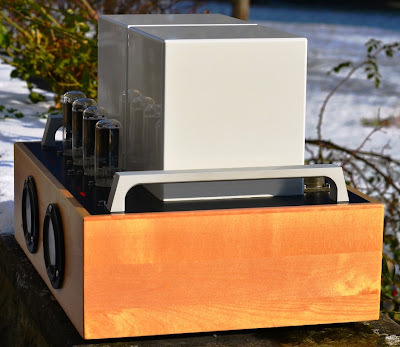 6N7GT Visseaux added layers of details and delicacy to bring this amp to another level. Your experiences will vary depending on the rest of the systems. Since my source and DAC were of satisfactory quality I decided to pursue famous 801 Linestage. Thomas's approach I was ready to give 801 design a chance - not wanting to upgrade ever again. 801 linestage is a fairly complex piece of gear to construct. It utilizes fabulous autoformers from Intact Audio (Dave Slagle.) As an aside, Dave is a world class act, very knowledgeable, sincere and all around great guy to deal with - products reflect that ethos. Highly recommended and essential part of the architecture! of 801 tubes. I opted for Candy blue once again. Just as in the 6cb5a, linestage relies on really good passively filtered power supplies (heaters and B+). Everything was wired with silver including PS, especially ground bus (it makes large sonic improvement - at least to my ears). Autoformers were a little tricky to wire but with the help of a few folks who have done it before I had it done in a few evenings (basic test equipment helped tremendously - Oscilloscope and frequency generator). To date, this was the largest single most audible improvement heard in my system. Linestage uncovered layers of details never heard before. Soundstage expanded, space around musicians increased to life like proportions, while the feeling of presence, musicality and emotion was retained and emphasized. Most importantly a huge amount of micro detail was revealed: not in annoying in your face way - you can choose to focus on it. Often feeling of added resolution is created by “stripping” midbass from the piece of gear. This has tendency to emphasize the high and low frequency and fool many into thinking about detail/resolution improvements. This preamp does not do that. All aspects of music are preserved and enhanced at all levels. Ultimately, I am in the emotion camp, if I can’t be moved by music why bother? My implementation uses Tango Interstate and Output transformers and silver wiring through out. 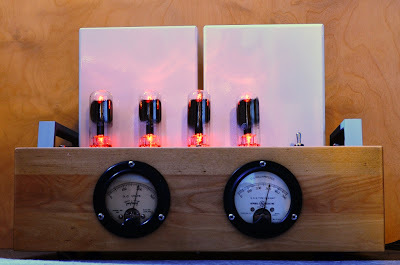 Amp allows me to switch between 45/2A3 (output) and 10y /26 tube (input). I love this amp! It sound is absolutely beautiful and poetic - not in some kind of colored way. It draws you into the performance: you tap your foot and have a chance to hear the intent of the piece of music. Musicians come alive - not only in the audiophile way (resolution and microdetail retrival are Thomas's trademarks) but in a way that lets you connect with music and ultimately its meaning (at least for me). It just produces music that is more alive and has more PRAT, with more punch and beauty- at least in my setup and to my ears. On violins notes are beautiful, double bass is outrageous, blues is glorious (Muddy Water/ R Johnson/ R.L Burnside), Jazz is out of this world (I am now into 30-40s), the scale of Rock and large orchestral/organ works is there- I can still make my house shake :) Visitors can’t believe that 1500 miliwat amp can produce this type of musical experience (conversations about notion of technological progress follow). This amp forced me to recognize some of the shortcomings in my speakers and that will be the next frontier. Also in 2009 I had a chance to hear Jean Nantais build 75-pound Lenco and was absolutely floored by its ability to reproduce music. This might result in the move towards vinyl and another set of adventures. Luckily Thomas can assist in both cases. 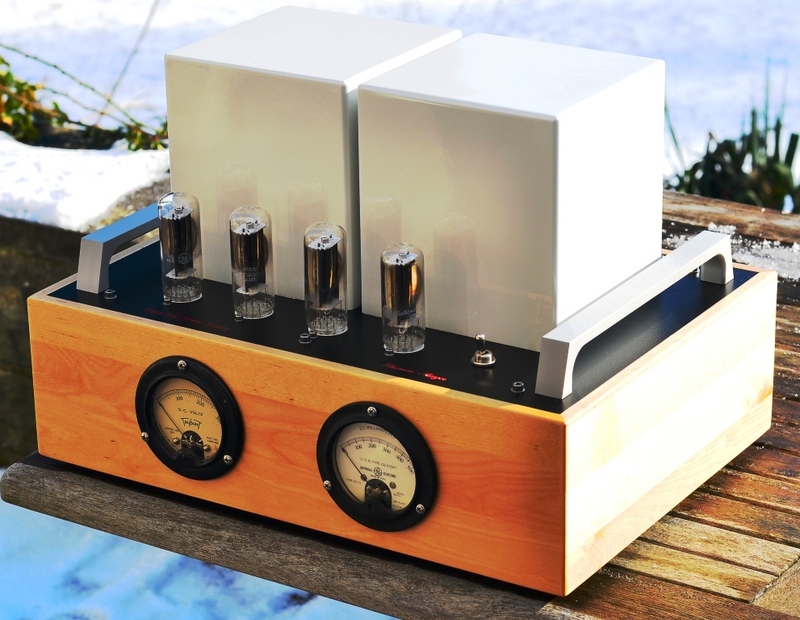 Thanks a lot to Peter for sharing his amplifier building experience. I'm sure the journey will continue. Vinyl is a whole new world to discover! Finally found some time to continue with the field coil speaker. 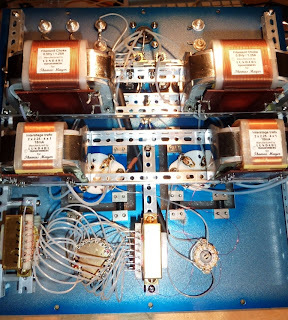 Since the high voltage field coil supply for the horn driver is finished, the only thing missing to play the horn and woofers together is a crossover. For a first trial a quick lash up of a crossover was built. Since the speaker is meant to be driven actively with separate amps for bass and mid/treble, the crossover will be placed between preamp and power amps. The crossover is based on the same concept as the one which I already presented here. Low impedance LCR type high and low pass filters. The coils are some Lundahl LCR RIAA coils wired for 180mH. This network splits the signal from the preamp into the lows which are routed to the bass amp. For the first set up I chose a single ended 6CB5A amp. Slage 1dB/step attenuators are added at the high pass output for adjustment of the horn level to the bass. See close up on the left. The horn driver is driven by a 45 amp. How does it sound? I immediately liked what I heard. Some rough adjustement of the levels and I played record after record. These field coil drivers are capable of an incredible tone. Very realistic and immediate presentation. 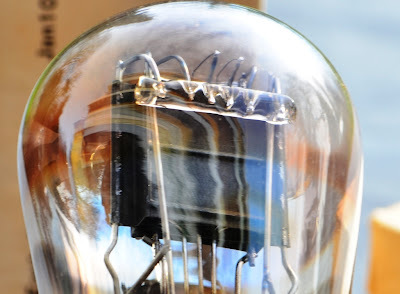 The 45 amp with 10Y driver really shines at the A2000s with beryllium membrane. Deep bass is a bit lacking still, but that's no surprise with the enclosure which is basically an open baffle. Definitely need to work on that and maybe another woofer for sub bass support. The Field Coil supply for the horn drivers works beautifully. It induces no noise of it's own which was expected with the three chokes used along with the oil caps for smoothing. Next up are some measurements of the set up and adjustments to the crossover. 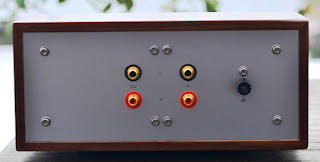 Once the crossover is final it will be built into a nice chassis in the style of the modular preamp as presented in resent posts. 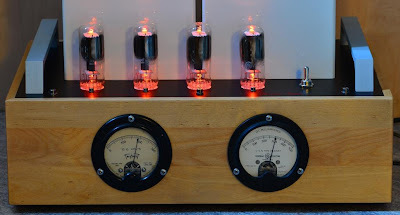 The phonostage with E55L tubes is complete. Separate power supplies for the input and output section on the left. Input and output sections in the middle and external MC step up transformer and LCR EQ unit on the right. A six chassis phonostage! It will later be complemented by an active linestage. So this will end up as a 8 chassis preamplifier. 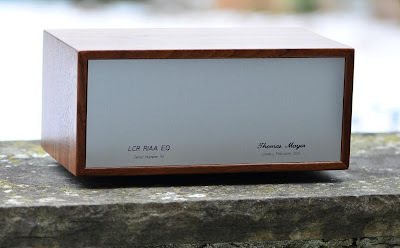 It can be reduced to a more modearte 5 chassis by integrating MC step up transformer and LCR EQ into the phono input stage and by using it with a passive volume control as shown in earlier posts. However if the sytsem needs more gain, an active linestage is required. Which will be two chassis (external power supply). 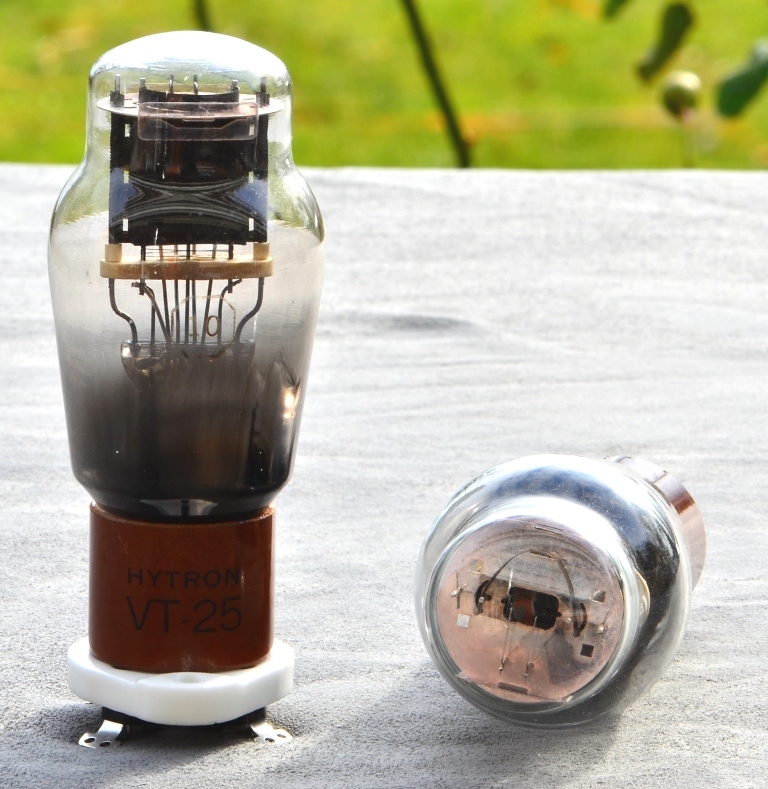 Two versions are planned using directly heated and indirectly heated tubes. 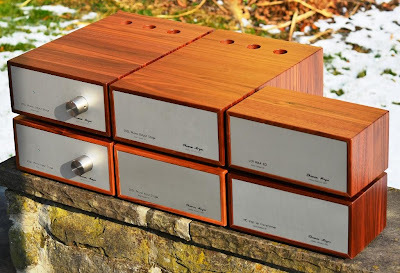 Also in the planning stage are phono sections with directly heated triodes. These will be more extreme and require even more chassis. Initially 841 and 801A tubes are planned for these. Calculations and simulations are in progress for a variable LCR EQ unit for this combination. It will fit into one of the longer chassis, same size as the active stages and PSUs. Initial measurements of the phono gain stages are done and things look good. Before listening could start the phono stage had to go out on the terrace for the photo session. It will have to proove it's sound capability against the EC8020 LCR phono stage. 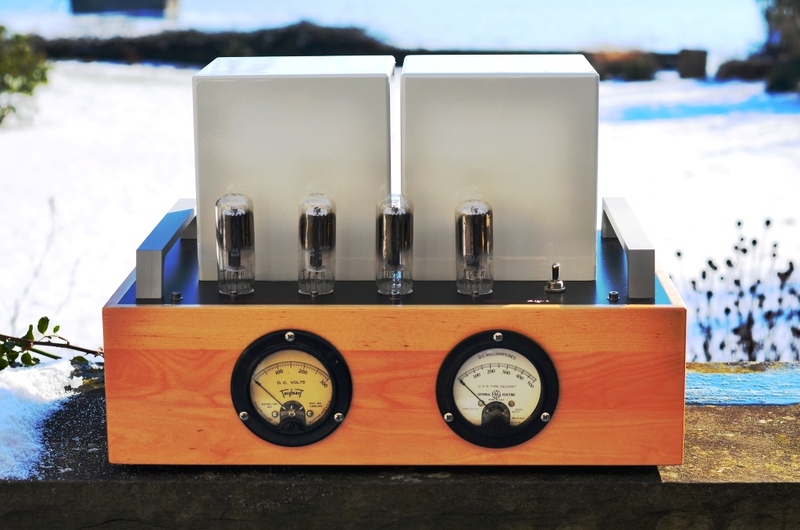 This preamp will require quite a lot shelf space. But the stackability should make it a bit easier. 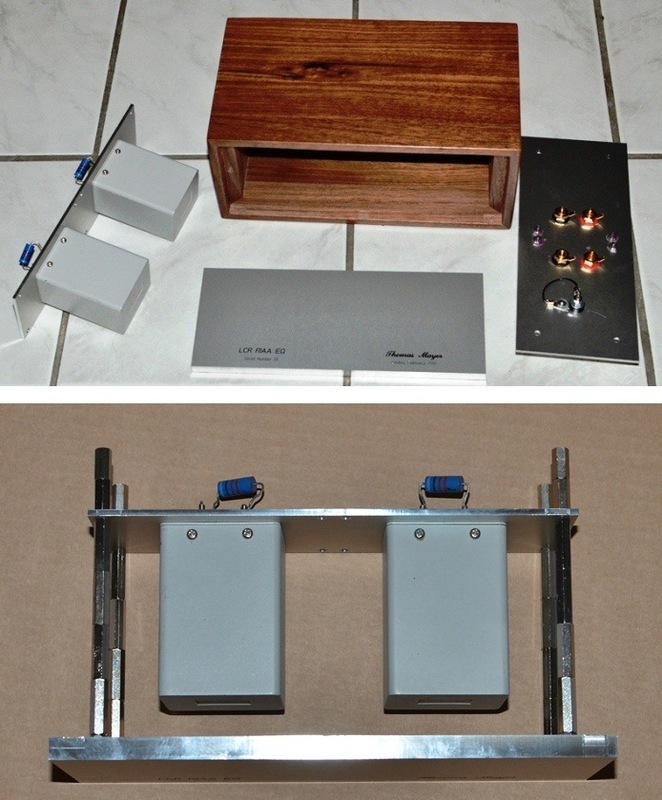 Don't hesitate to contact me if you are interested in such a phonostage or if you want to build one yourself. I can provide all the parts and schematics needed and will also help during the building phase. Stay tuned for the listening report and the completion of the linestages in the same style. some progress on the modular preamp. The LCR unit is finished. This fitted into one of the short chassis since it's purely passive and just contains a 600 Ohm LCR RIAA EQ network for each channel. The phono input stage chassis would have enough space to fit them in there as well. I wanted to have it separate to be able to compare different EQs and also to later replace it with a variable EQ unit. Building this unit was a quick job since I used a pair of the famous Tango EQ600P units. These have the complete network including resistors and capacitors integrated into a nice housing. All which needs to be added is the 600 Ohm terminating resistor. These units are not made anymore by the current ISO Tango company. Production of these has ceased when Hirata decided to close the audio transformer unit and Tango was bought out by the employees. So they are hard to find these days. Soundwise the Tango EQs are among the best that exists out there. Actually it's a shame to hide these beautiful units insie a chassis. But I had a pair which was a bit beaten up cosmetically from usage in different phono stages. 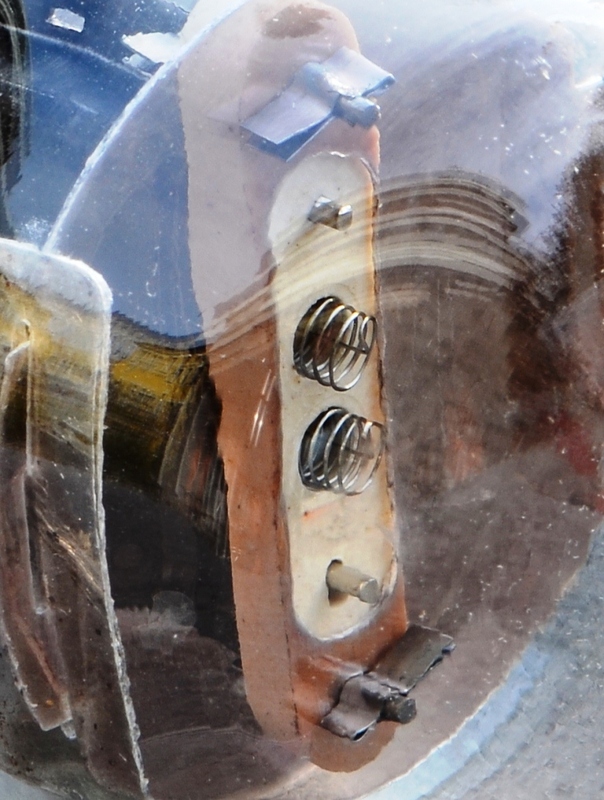 The Tangos are mounted on a sub plate which is held between the front and back with some bolts as can be seen on the photos. Wiring was quickly done. The back panel just has two pairs of RCA jacks for input and output and a binding post for grounding the chassis if needed. 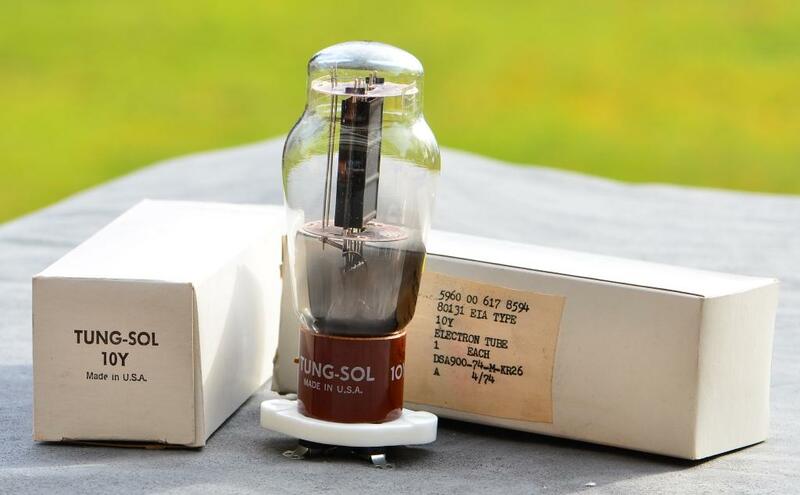 In the meantime the missing material for the phono input stage has arrived and the phonostage will be completed soon. The next installment of this series of articles will show the entire phonostage. Two versions of linestages are planned in a similar chassis style. 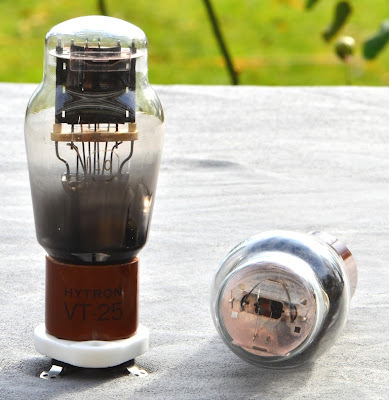 One with directly heated triodes which will have the tubes visible and another one with indirectly heated tubes which will use enclosed chassis like the phonostage. Part 1 of this series about the development and building of a field coil speaker system showed the first trial for a bass cabinet and the selection of drivers and horns. 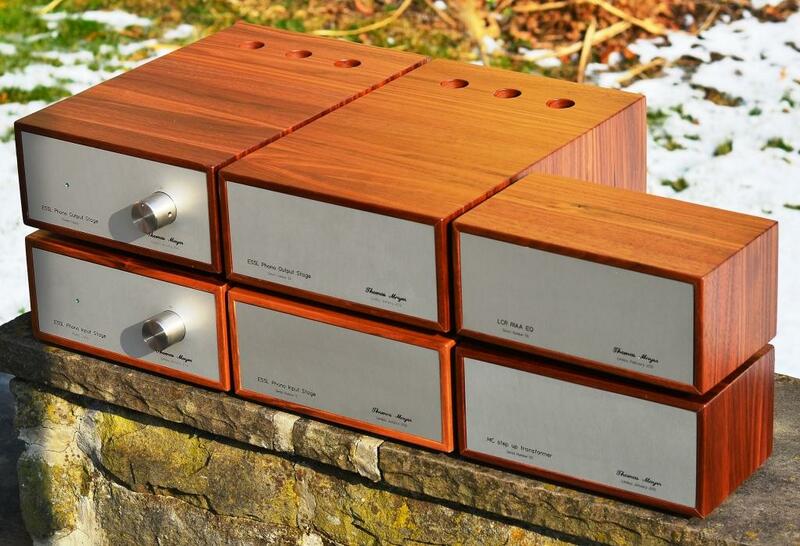 The Kilimanjaro Series woofers will initially be fed from a lab supply. Later this will be replaced by my own PSU. Today I will show the building of the field coil supply for the A2000 horn drivers which are equipped with high voltage field coils. 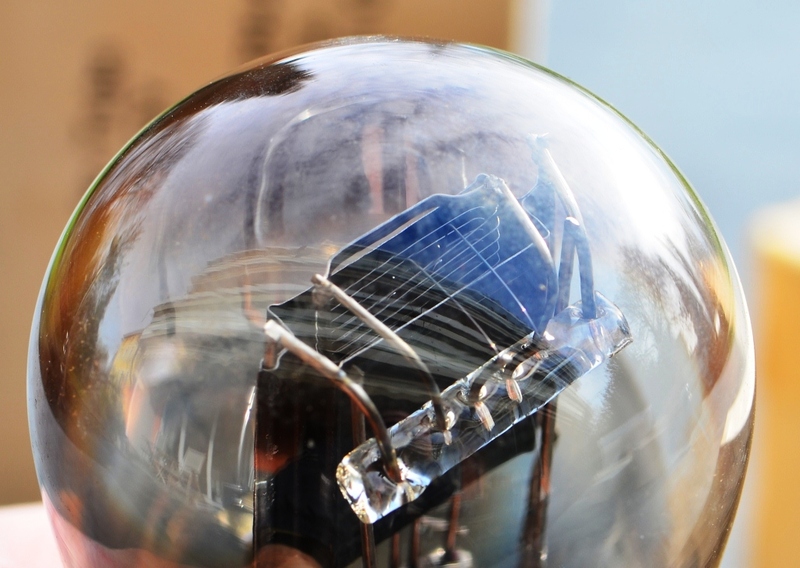 The high voltage field coil version was chosen so that the PSU can work with tube rectifiers. 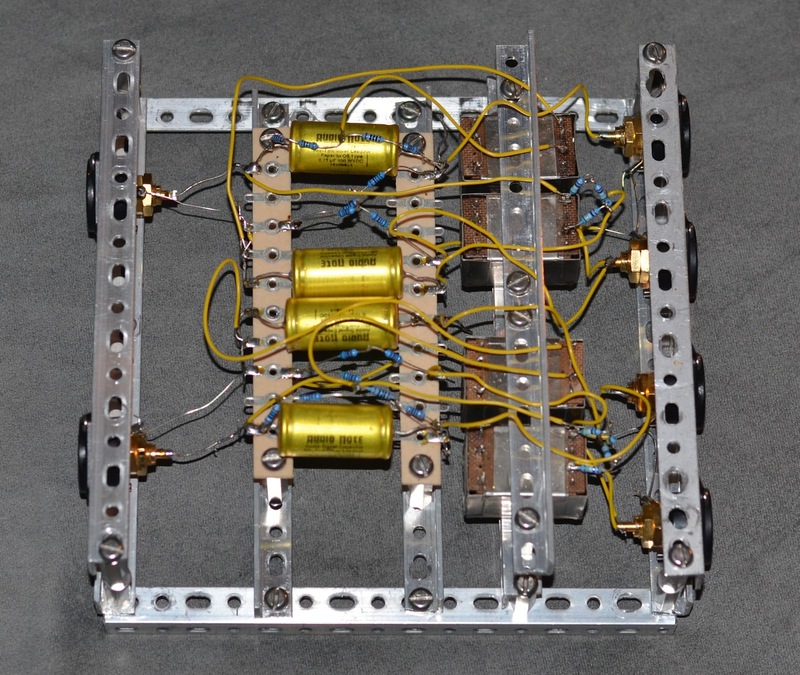 The coils can work from about 90-120VDC and need around 300mA each. Quite doable with TV damper tubes as rectifiers. The 4 photos on the left show the assembly process. Everything starts with the top plate. The first photo shows the plate with switches, connectors and tube sockets mounted. Then the plate is fixed into a rig which eases further assembly. In the second and third photo, capacitors and the power transfromer are mounted and wired. 6CG3 TV dampers are used due to their high current capability. The transformer is the largest from my own mains transformer series. Since two separate power supplies for the drivers would require two separate PSUs, it was decided to feed the two A2000s in series. Doubling the voltage in a tube power supply is almost no additional effort, if the power transformer can deliver the voltage. Doubling the current would require two separate supplies since 600mA is beyond the capability of the 6CG3 and would require big chokes for filtering. 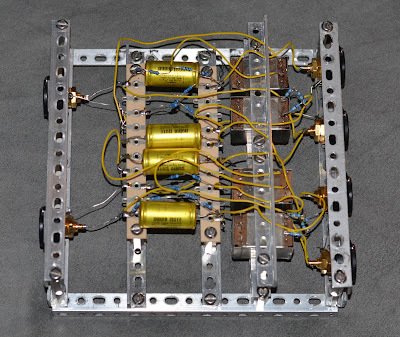 The configuration is a full wave bridge with 4 TV dampers feeding a LCLCLC choke input supply. 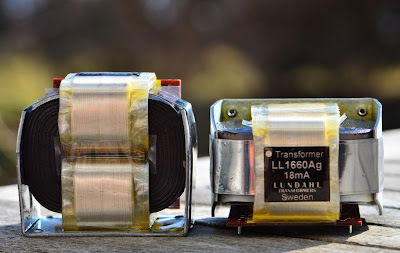 The chokes are Lundahl LL1638/4Hy which can handle 400mA DC. 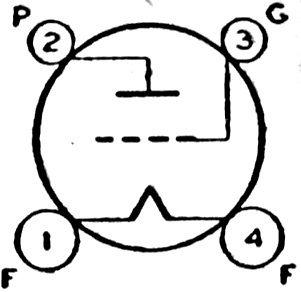 The last capacitor is split into two separate ones for decoupling of the voltage of each driver. The transformer has various taps to allow secondary voltage increments in 25V steps. In addition the primary has taps for 220, 230 and 240V. These taps have been used to provide adjustment in 7 individual 5% steps. With two more switches the filter chain can be switched between choke input or cap input. 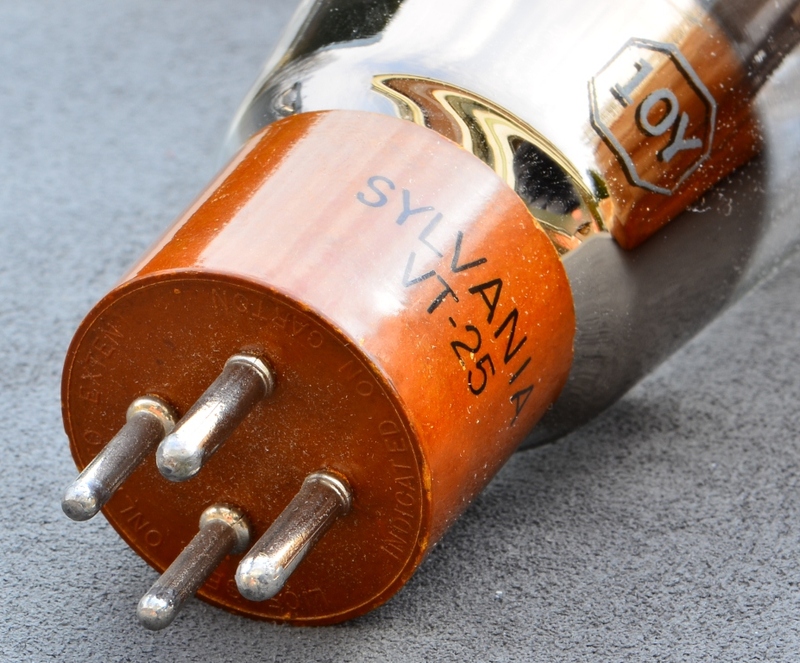 Two different sizes are selectable for the input capacitor: 1uF and 4uF. 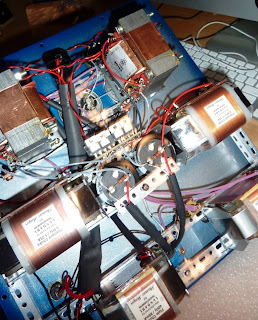 The 4th photo shows the finished PSU with the chokes added and wired. Everything is placed in the wooden frame. Two vintage panel meters are inserted in the front to monitor voltage and current. The voltage meter measures the entire voltage across both coils. The capacitors and mains transformer are hidden unter covers which are painted with a white metallic effect varnish. The two handles are convenient for moving the PSU around since it is quite heavy. Voltage is set for 90V per driver, 180V total. 300mA current. The power supply operates nicely and stable. 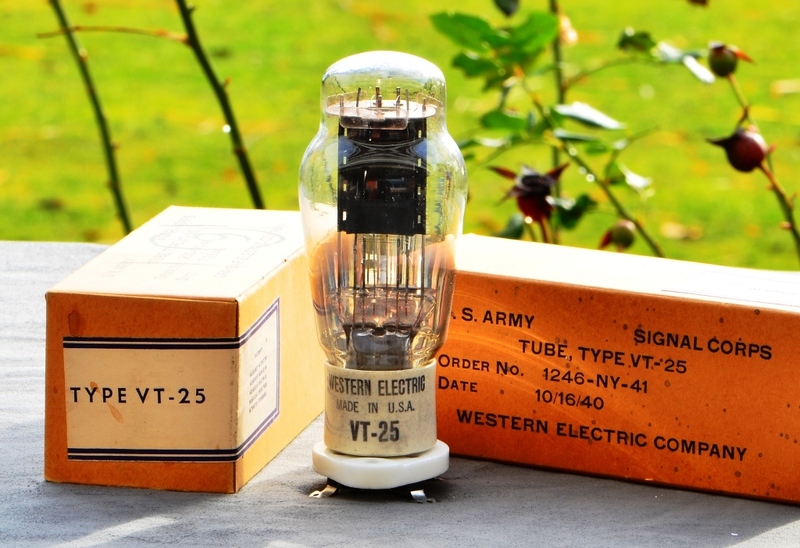 Voltage adjustment can be done while the supply is on. No need to power down for switching between the taps. This is easier on the TV dampers since one of the main factors determining liefetime is cycling of the heaters. Not that it would be a big issue since these rectifiers are very cheap. The 6CG3 seems to be the perfect choice for such a supply. I'm using it since quite a while in the power supply of 211 monoblocks and it works flawless there in a voltage doubler circuit which is quite demanding. I expect them to last many years in the field coil PSU. No special precautions were necessary with regard to heater-cathode voltage. The heaters are simply referenced to ground. Since the 6CG3 draws a bit of heater current (2.1A) two heater windings are used. Two tubes share one winding. 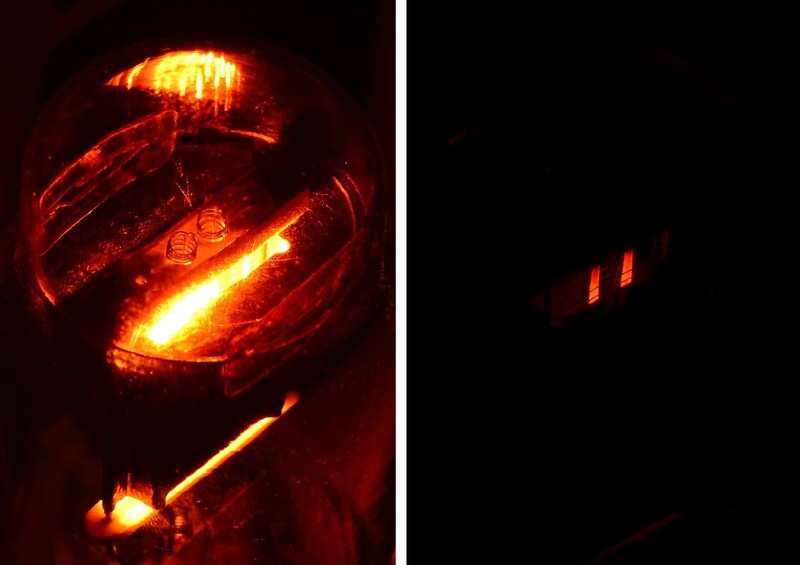 The photo on the right shows a nice close up of a 6CG3 in operation. 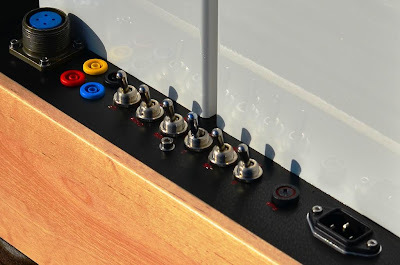 There are other TV dampers who could be used for this purpose as well. For example 6CJ3 or EY500. The latter is probably easier to be found with heaters for series string operation. That is the PY500. The american designations for the these tubes are 6EC4 and 42EC4. Before listening can start, the speaker needs a crossover. 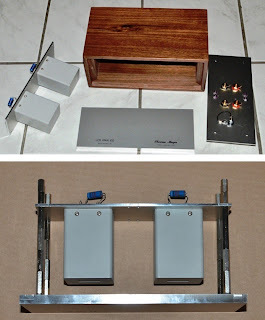 This will be a active set up with a passive crossover placed between the line stage and the separate power amplifiers for horn drivers and woofers. The next part will show the initial version of this crossover. Stay tuned!